Under the tab 'Time Clock' the 'Pre-clock In' feature enables staff to clock-in with the 'Pre-clock' giving you the heads up that they are 'On Their Way' and have left for work. This is extremely popular for critical services such nurses and emergency related industries. 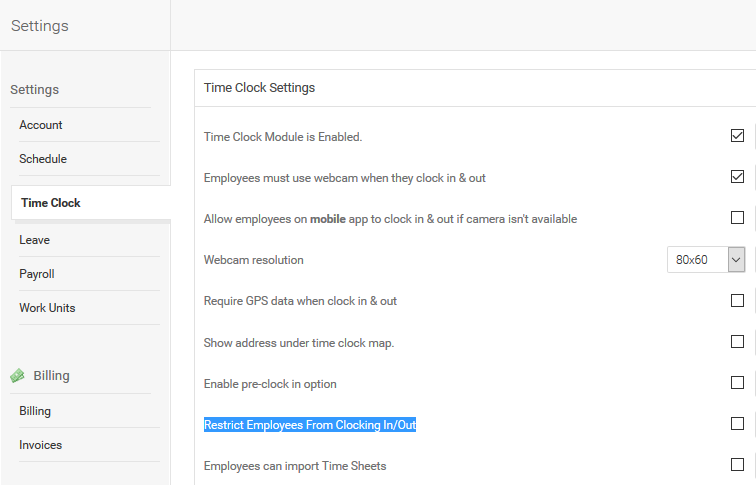 In order to see and use the 'Pre-clock In' button, enable the setting 'Enable pre-clock in option' from Time Clock Settings. If you wish to force Pre-Clock In, also enable the option ''Pre-clock in is required before the clock in'. Once staff clicks "I'm on my way" it will show them as 'You are on your way since' and then the time they 'Pre-clocked In at. Once staff arrives and click on 'Clock In' they'll disappear from the 'On Their Way' list. Managers will be able to see who is OnTheir Way, under the Time Clock - > Management.